← Multiplication madness! This week we have been using a numberline to help us mulitply. 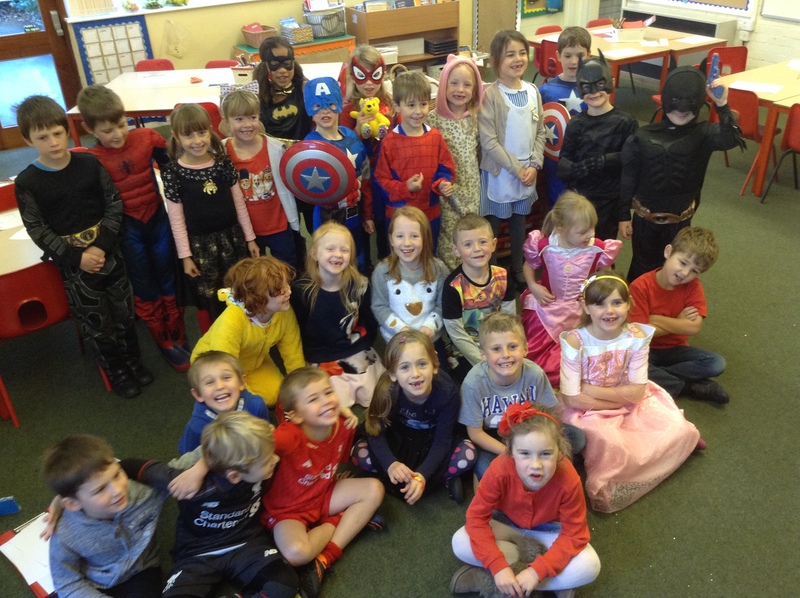 We are getting really good at multiplying 2,5 and 10.
our super hero or home clothes. We all enjoyed scrummy cakes at break time. This week we learnt about Kelly Holmes and her charity.We know that the money we have raised will be going to a charity like hers. Thank you for your support in helping the children participate in this day. 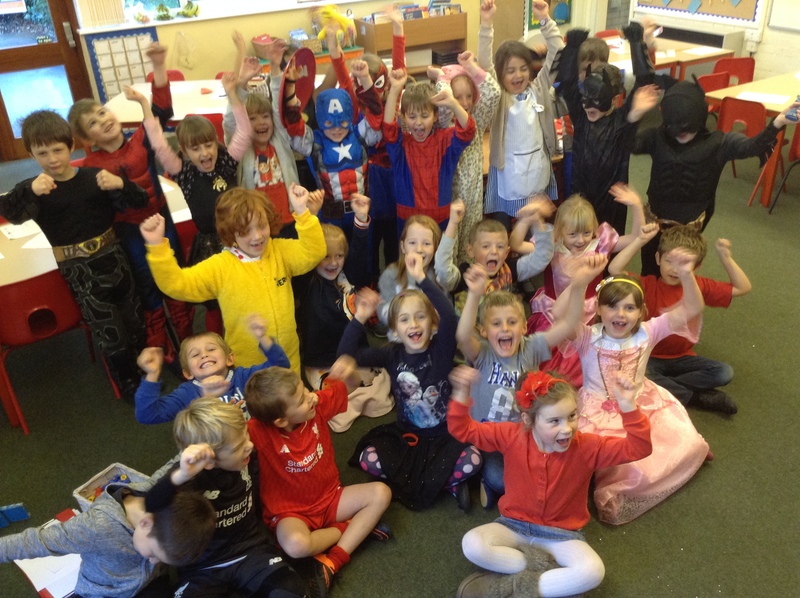 A class full of ‘super’ heros and heroines – fantastic!